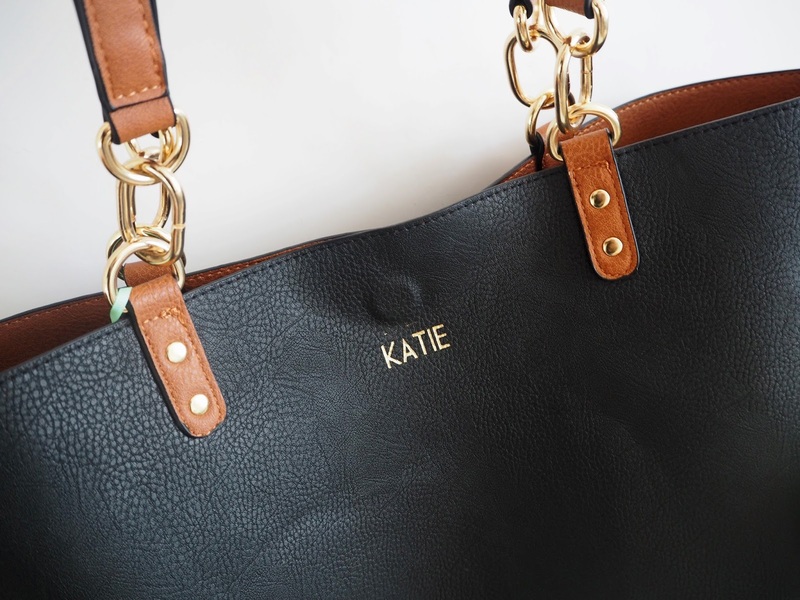 This Christmas there is a bag with your name on it...literally!! 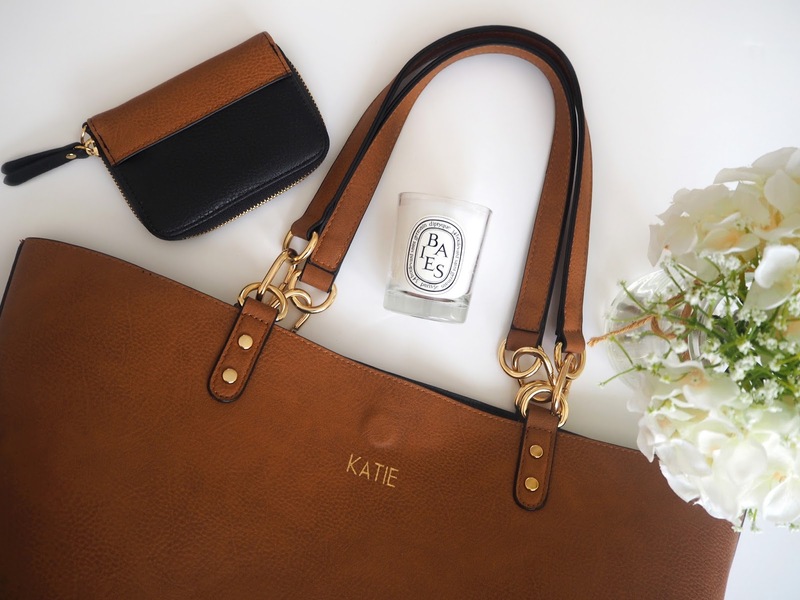 Oasis are offering this extra special limited edition personalisation service on selected handbags for you to create a keepsake this Christmas. They have called it their Loves Letters Monogramming service. 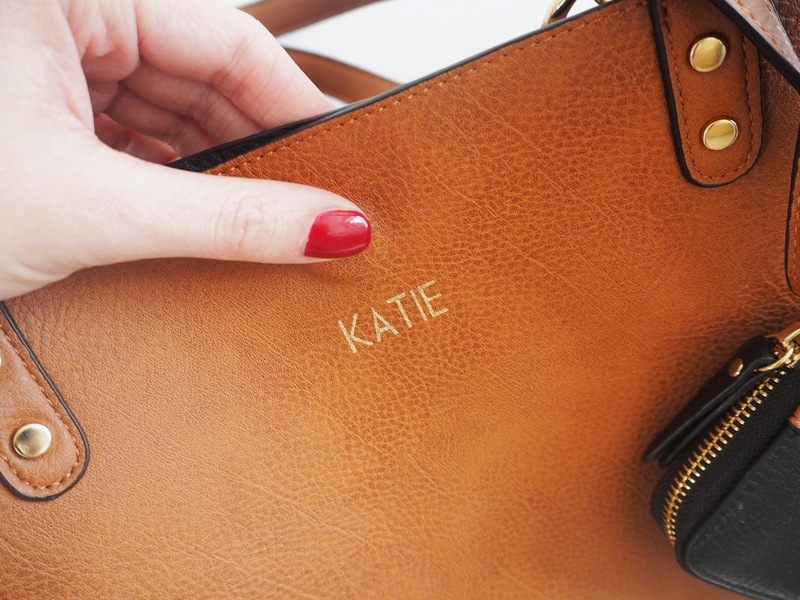 Just pick a handbag, choose up to 10 letters and choose the text colour (either Gold, Silver or a Plain Embossed). It could be your name, initials, a friends name if it's a gift or perhaps another word that means something to you. If you're gifting this to a blogger I think #blogger would be rather fun printed on it! You can also choose from five different symbols to add if you wish: heart, star, dot, #, &. 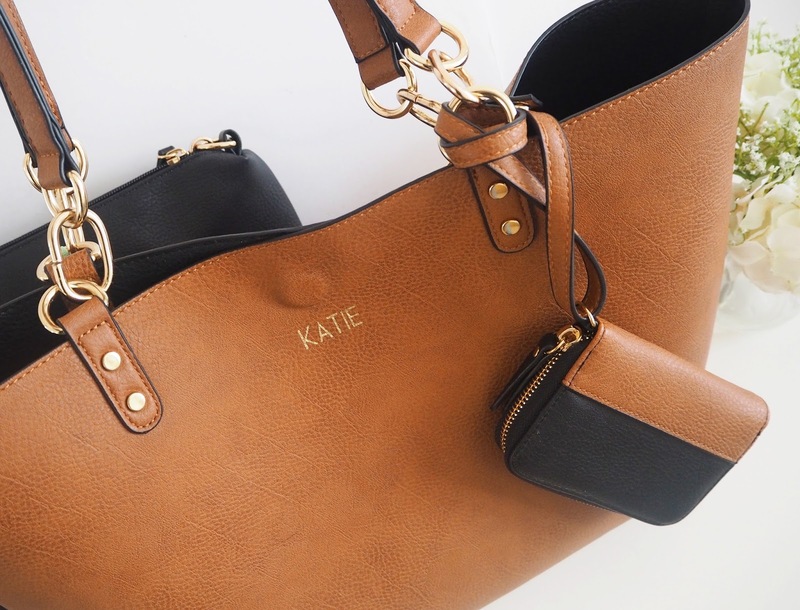 I have this gorgeous tan Tote Bag* with my name embossed in gold letters and I couldn't love it more! It's such a classic and timeless style of bag. It is reversible (shown in the pictures) so all I have to do it turn it inside out to reveal the black side making it incredibly versatile and I can pair it with so many different outfits. 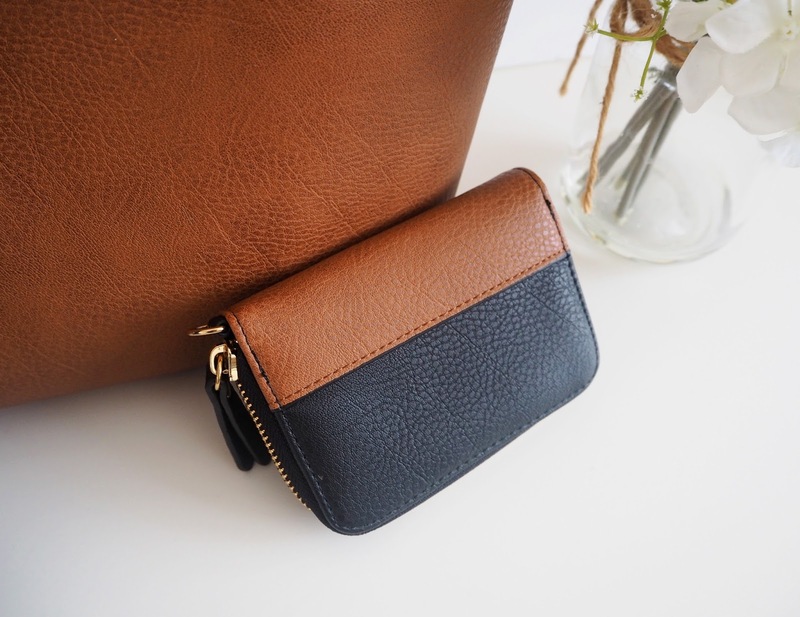 I comes with a match tan/black purse with a detachable popper strap which you can use to attach it to the strap of the bag to keep it safe inside. Plus a large zip case which is the right size to fit a tablet in, camera equipment (handy as a blogger!) or just a load of makeup! I really liked that it came with those extras. I think it's going to be so useful to take about with me to events as I can fit everything I need in there, including all my tech stuff, whilst still looking chic and stylish. Other monogram bag options I really like are this classic black clutch and this bright green one with a choice of 3 straps. I think these make an absolute perfect gift idea for someone this Christmas as it's not necessarily the something you would do for yourself but it's lovely to receive as a gift and you can keep forever! 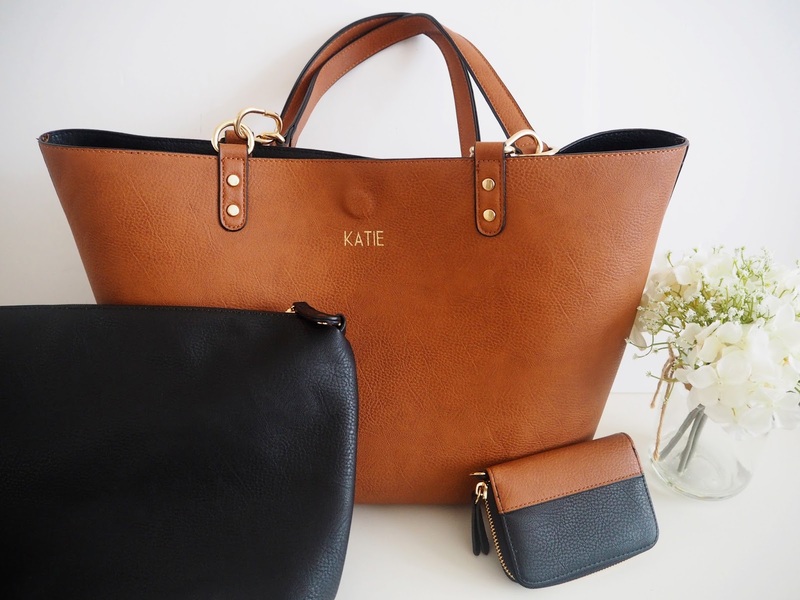 Bags are priced between £27 and £35 and you can purchase online at Oasis. 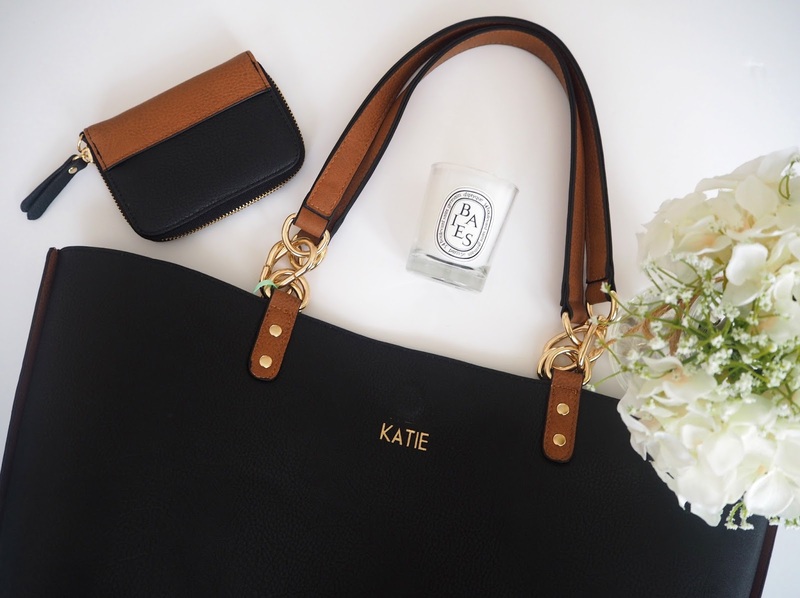 How would you personalise yours? *I received this as a gift from Oasis but all opinions are, as always, my own.